The estate has been awarded the "Bienvenue à la ferme" (Welcome to the farm) label and serves "l'Apéritif Vigneron" (Wine-growers’ pre-dinner drinks) by appointment, including a guided tour and wine-tasting session to wash down a Rustic Buffet. Duration: 1hr 30 min. 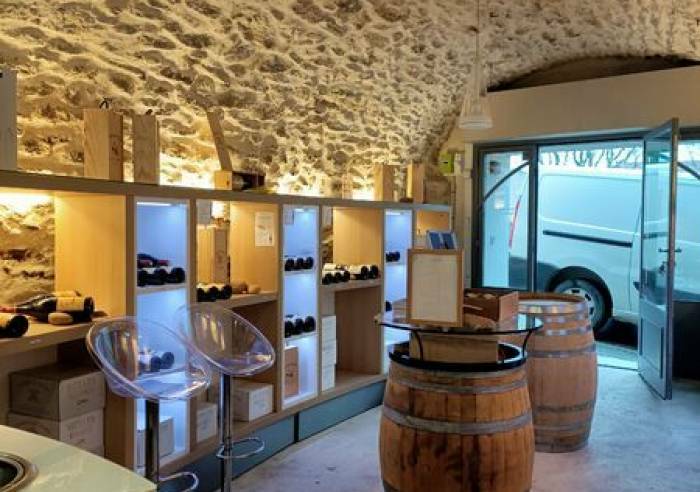 Guided tour of the cellars and tasting of four different wines: 1 white Châteauneuf-du-Pape + 1 red Côtes du Rhône + 2 red Châteauneuf-du-Pape, "Tradition" & "Old Vines" vintages. At the tasting session a Rustic Buffet will be served, featuring local produce: bread, tapenade olive paste, goat’s cheese, olives, cold meats (dried sausage, rennet, calf's head terrine etc., subject to availability). To confirm these pre-dinner delicacies, you need to reserve ten days in advance so we can be sure to order fresh produce. Car park, Parking, Coach parking Sales on site.